For more advanced flautists there are two ‘Fluttissimo’ ensembles they can join. 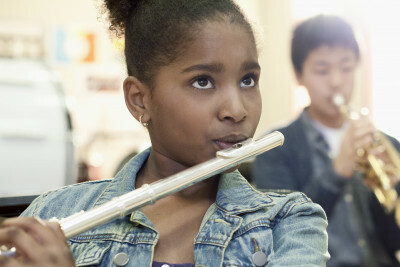 These include an intermediate and advanced group where students can gain expert tuition from professional flute players. Members also have the chance to play a range of different instruments, from piccolos to bass flutes. Fluttissimo performed at the Music for Youth Regional Festival in Bath and recently won first prize at the 2019 Bristol Festival of Speech and Drama. The intermediate group is aimed at enthusiastic players between grades 3-5. The senior group is for flautists of grade 5+ and entry is by audition. Rehearsals take place during term time on Fridays at Winterbourne International Academy, High Street, Winterbourne, BS36 1JL in the music department. The intermediate group is directed by Fiona Hunt BMus (Hons) Dip ABRSM from 4.15 pm – 5.15 pm and the senior group is directed by Nicola Russell LRAM LTCL QTS from 4.15 pm – 5.15 pm.